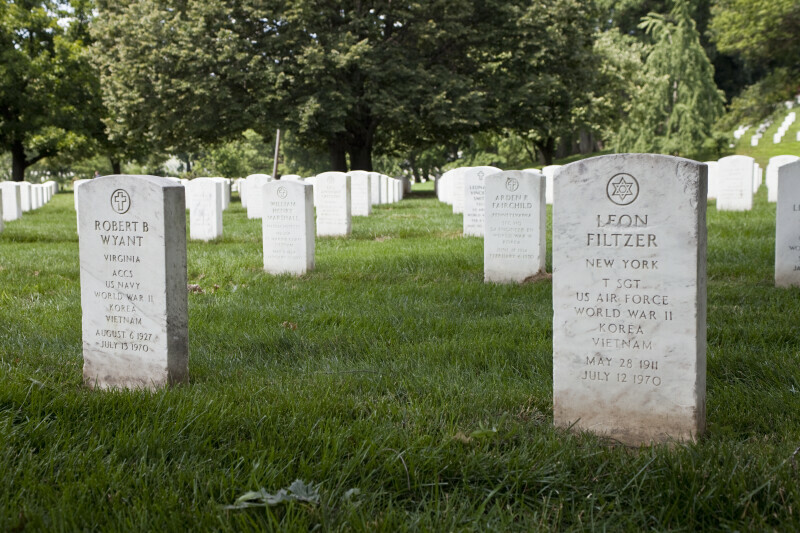 Headstones at Arlington National Cemetery, Virginia. It was established during the Civil War, on the site of the estate of Robert E. Lee's wife's family. WARNING: You are about to download a 56.9 MB TIFF!